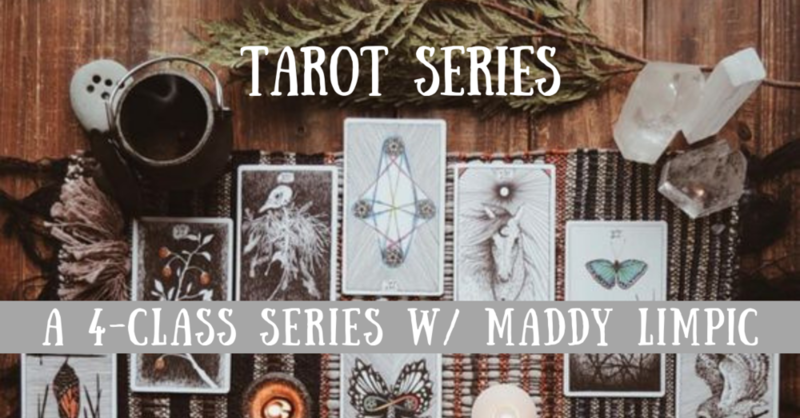 Join us for a 4-class tarot series! ***Series will be held outside so please dress weather appropriate! 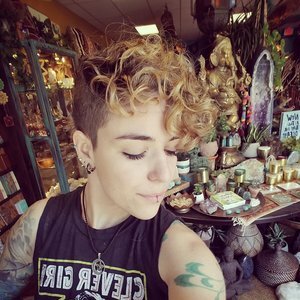 Throughout history Tarot Cards have been used to help people intuitively solve problems, connect with the Divine, and even gain a glimpse of the future. But what do the cards mean, and how do we come to use and understand them? This four week course is designed to take an in-depth look at the Tarot, what the cards symbolize, and how to read them. Tarot is full of rich history and symbolism, and can provide a divine mirror for our lives. Having a strong understanding of the cards creates the foundation for deeper readings for yourself and others, and allows for your own intuition to blossom. Together we will take the Fool’s Journey through the mysterious Major Arcana, unlock the secrets and symbolism of the Minor Arcana, develop our own intuitive path for reading and interpreting the cards, and delve into the art of Spreads, learning both classic Spreads as well as intuitively designing our own.